Big Wednesday is indeed a classic, but The Mechanic with Bronson is great too. His biggest hit was Hooper with Burt Reynolds, and if I might be allowed one more recommendation, then the western Bite the Bullet with Gene Hackman isn't bad either. Matt Wilson wrote: Big Wednesday is indeed a classic, but The Mechanic with Bronson is great too. His biggest hit was Hooper with Burt Reynolds, and if I might be allowed one more recommendation, then the western Bite the Bullet with Gene Hackman isn't bad either. Good picks, Matt, for certain. Big Wednesday towers, though. 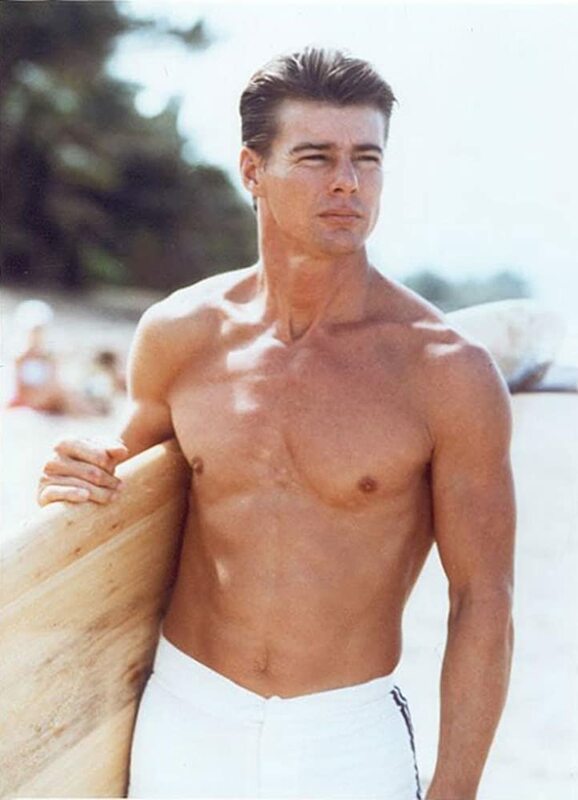 If surfing can be considered a sport, and I think it can, then that particular film is simply one of the finest ever made in the sports genre, and a great snapshot of a certain subculture in the late 60s. 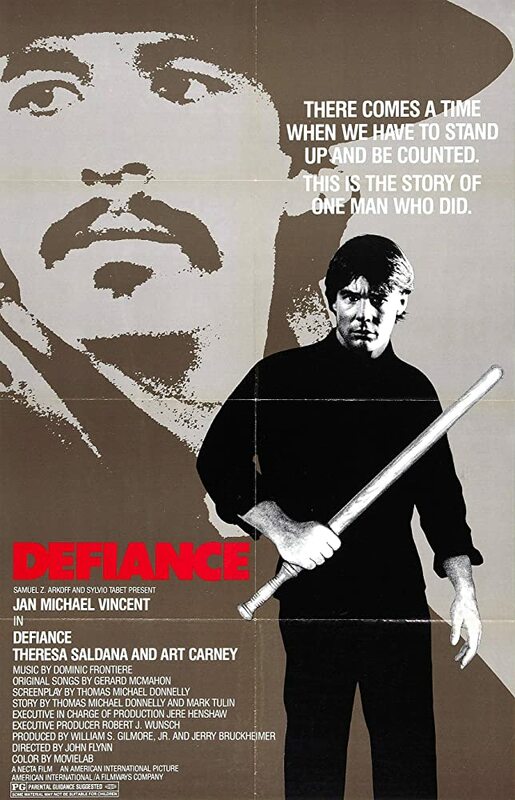 I'll add one more, if I can remember the title, Defiance (1980), where he cleans up a rough neighborhood, armed only with a baseball bat. A Jerry Bruckheimer production with brains and brawn. I liked Damnation Alley when it came out, although the scene with the guy getting swarmed by radioactive bugs in the back of an abandoned car freaked me out. Do you mean the poster or my little bit of summary? Or both? What do you mean, forget the return to TV? Airwolf is a classic! Also Winds Of War was fine. never/ever wrote: What do you mean, forget the return to TV? Airwolf is a classic! Also Winds Of War was fine. TV series are fine and have their place, but historically, I am a snob, of the opinion that films were superior to TV series or made for TV movies. It's only in recent times that TV series have proved equal to or even bettered their cinematic counterpart. Oh, TV has been way better than film for some time now. Trying to understand what you're talking about. I'm talking about the movie Damnation Alley, which I didn't see that you brought up. Sorry if I missed something. Oh, I thought you meant I had revealed too much of the plot in Defiance, thanks for clearing that up. never/ever wrote: Airwolf is a classic! Was it? A podcaster I like - while saying RIP J-M. V. - also lauded the show, how it was pretty subversive for the time. Maybe it's a generational thing but it never clicked with me back in the day. It looked too television-y, especially when Vincent had made such fine and grittier movies. Maybe I can find a show on YouTube for a reappraisal. it always pisses me off a little bit when somebody's career is boiled down to a sentence or two. yeah, he had a rough road but he was good in some good movies. How come when somebody like Reagan dies we dare not talk about butchering civilians but when somebody like JMV dies it's okay to review his lifestyle choices instead of his movies? life ain't fair.